This casserole is hearty and worthy of sharing with a crowd. 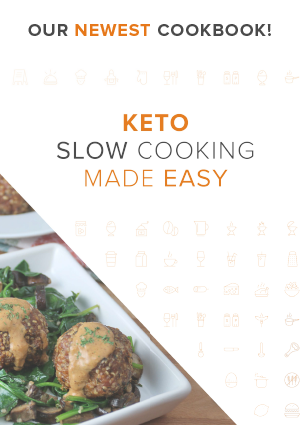 I know this because I did just that when testing out this recipe. 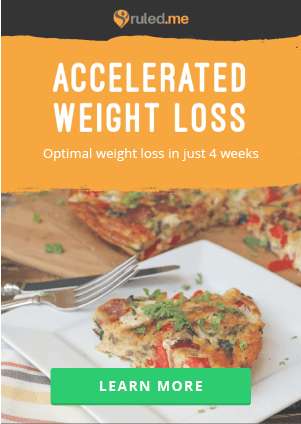 Nobody else who tried it was doing keto, but they all loved it anyway. What’s not to love though? 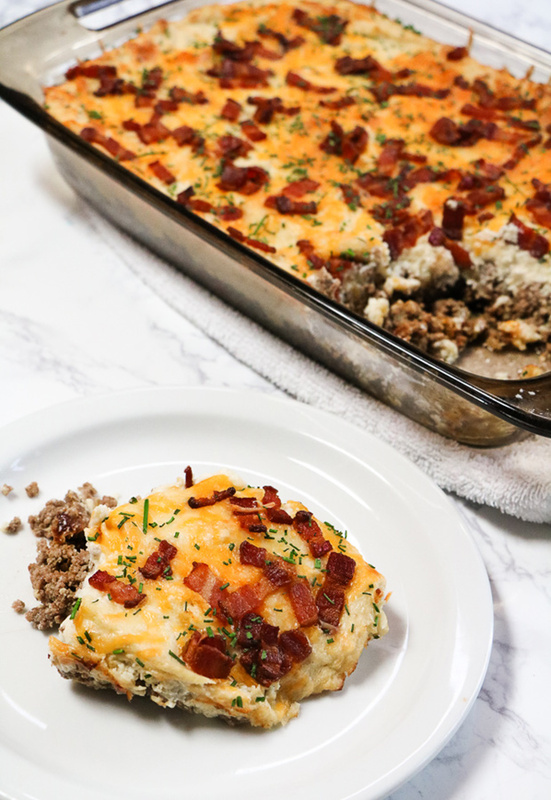 A quick meatloaf slathered in creamy mashed cauliflower, then topped with lots of melty cheese and crisp bacon. It’s a dream! To make things easy, I used frozen cauliflower for this dish. You can, of course, substitute fresh cauliflower. I don’t even think you’d need to change the recipe much. When heating it up I used a microwave, but I didn’t specify in the directions because I don’t think it matters too much how the cauliflower is cooked. The key is just to get it tender. If you have a favorite blend of spices or herbs that you like to add to your meatloaf, then feel free to do so with this recipe. 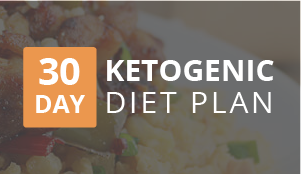 Just be sure to account for that when logging your meals. 1. Slice up the bacon then fry up in a hot skillet. Drain the bacon on a paper towel and reserve for later. Remove most of the bacon grease from the pan, you only need a few tablespoons for the next step. 2. Fry up the onions in the bacon fat until they turn golden. 3. 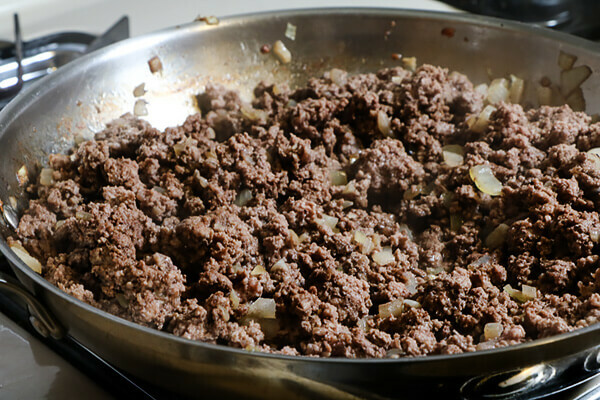 Add ground beef to the pan and then cook through. Add the Worcestershire sauce then adjust the seasoning if necessary. Transfer the beef mixture to a large mixing bowl. 4. In a separate mixing bowl, heat up the frozen cauliflower until it’s piping hot. 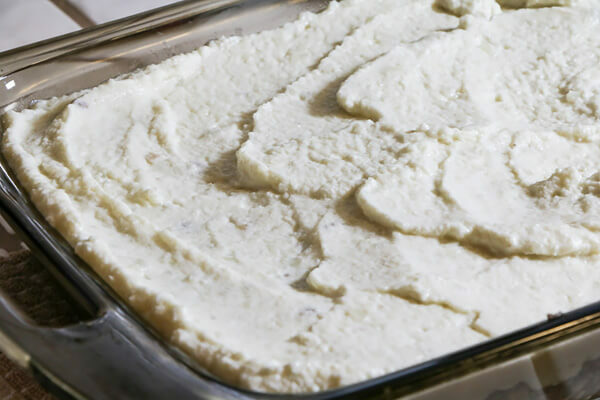 Add the softened cream cheese then blend together using a hand mixer, or an immersion blender. 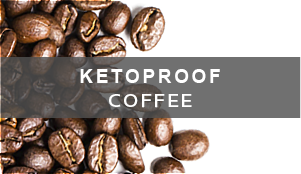 Could also just use a blender. If you really have to, a fork and someone who’s really hungry could work. 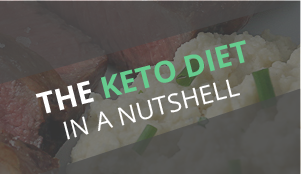 The key is to get everything mixed up into a mashed potato-like consistency. Season to taste. 5. Mix the crushed pork rinds and egg into the ground beef mixture. 6. 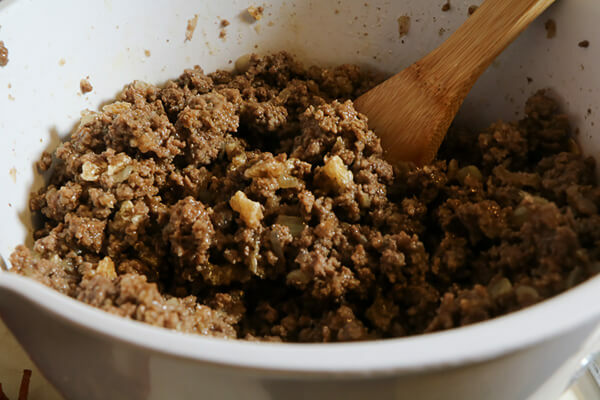 Layer the ground beef on the bottom of a casserole dish. Then spread the cauliflower on top of it. 7. 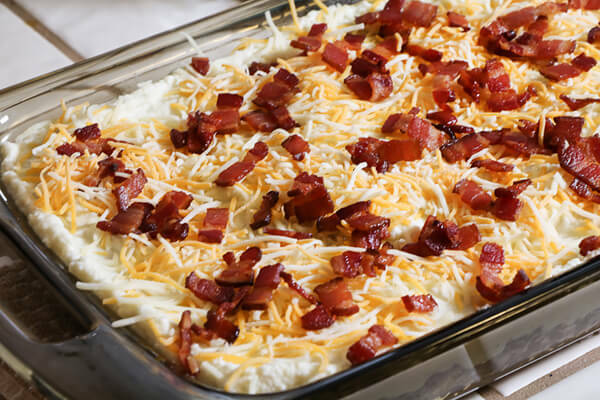 Top the casserole with shredded cheddar cheese and bacon. Bake at 400°F for about 30 minutes. You want the casserole to be heated all the way through, and I like the top a bit browned. 8. If you’d like, top the casserole with chopped chives. 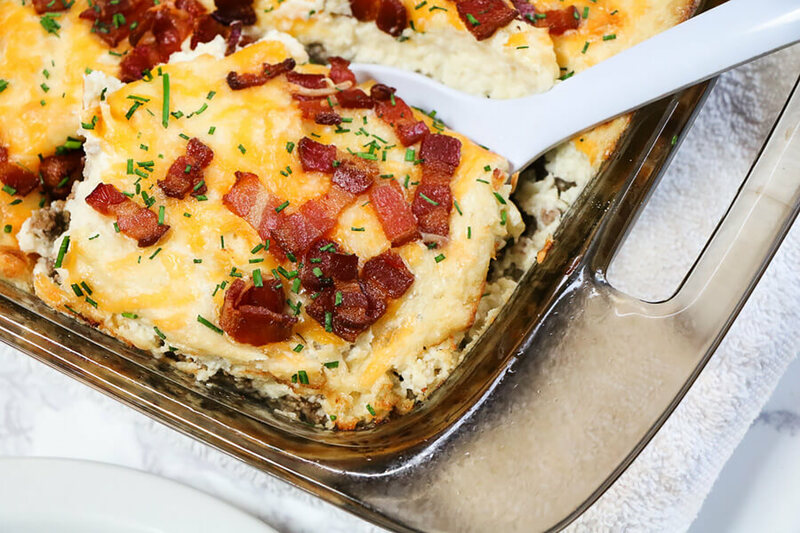 This makes a total of 8 servings of Loaded Cauliflower and Meatloaf Casserole. 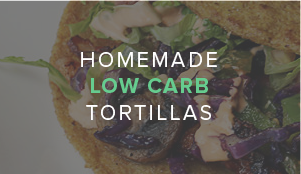 Each serving comes out to be 443.13 Calories, 34.42g Fats, 5.77g Net Carbs, and 25.32g Protein. Slice up the bacon then fry up in a hot skillet. Drain the bacon on a paper towel and reserve for later. 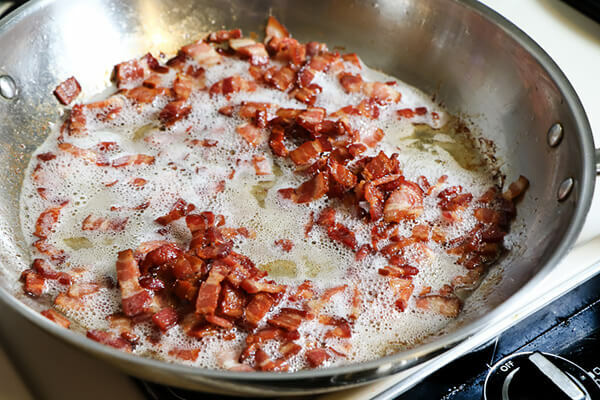 Remove most of the bacon grease from the pan, you only need a few tablespoons for the next step. 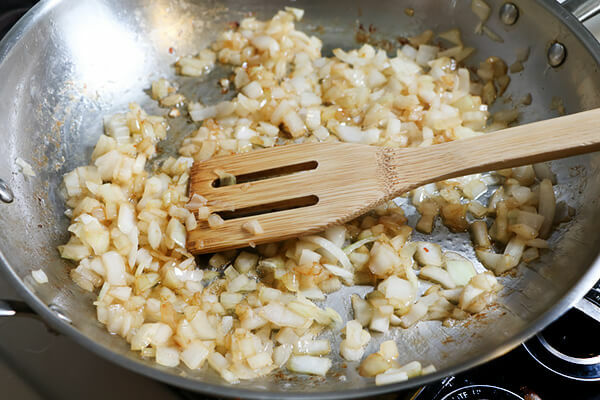 Fry up the onions in the bacon fat until they turn golden. Add ground beef to the pan and then cook through. Add the Worcestershire sauce then adjust the seasoning if necessary. Transfer the beef mixture to a large mixing bowl. In a separate mixing bowl, eat up the frozen cauliflower until it's piping hot. 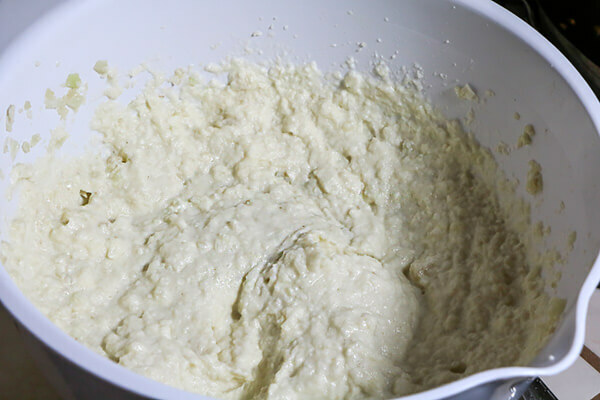 Add the softened cream cheese then blend together using a hand mixer, or an immersion blender. Could also just use a blender. If you really have to, a fork and someone who's really hungry could work. 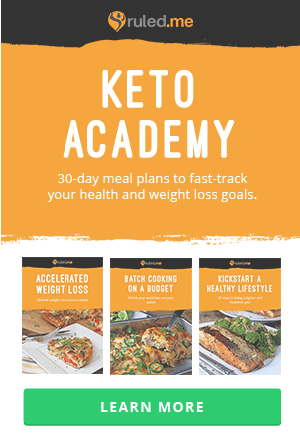 The key is to get everything mixed up into a mashed potato like consistency. Season to taste. Mix the crushed pork rinds and egg into the ground beef mixture. Layer the ground beef on the bottom of a casserole dish. Then spread the cauliflower on top of it. 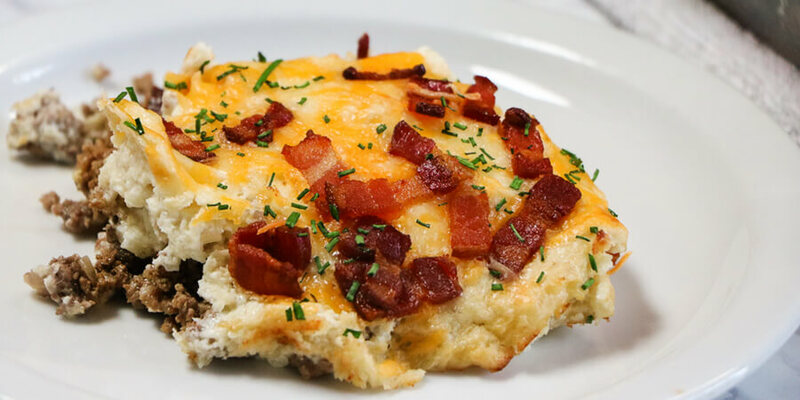 Top the casserole with shredded cheddar cheese and bacon. Bake at 400°F for about 30 minutes. You want the casserole to be heated all the way through, and I like the top a bit browned. If you'd like, top the casserole with chopped chives.